IMPORTANT: Microsoft Lync 2010 for iPhone requires a Lync Server or Office365/Lync Online account and will not work without it. If you are unsure about your account status, please contact your IT department. 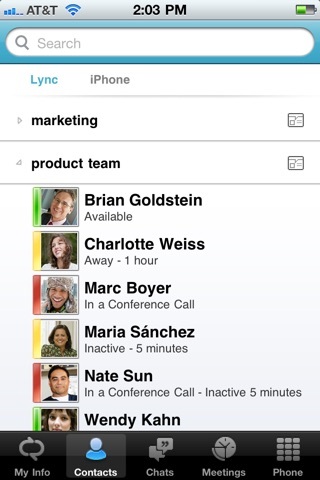 Lync 2010 for iPhone extends the power of Lync to your mobile device – including rich presence, instant messaging, audio conferencing, and calling features from a single, easy-to-use interface. 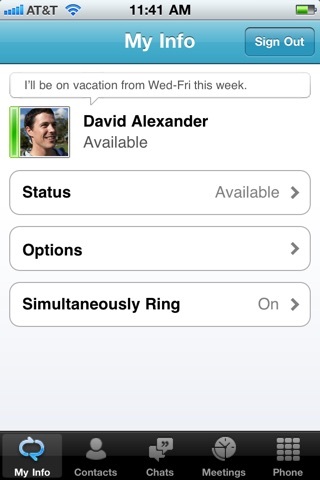 Key Features: - View colleagues’ availability in real time and select the best way to communicate – initiating an instant message (IM), email, or a phone call. 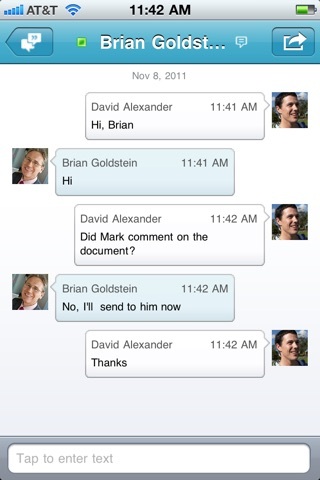 - Connect to Lync conference calls with a single touch, without requiring long numeric passcodes or conference numbers. 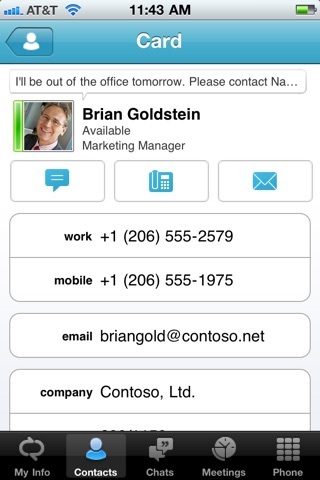 - Make and receive calls using your Enterprise Voice (Lync ID) number only, so you can connect with others using a single, consistent identity. - Lync 2010 for iPhone provides transport layer security (TLS) and perimeter/internal network protection without requiring a VPN, so your communications experience is safer no matter where you are or what network you use. IMPORTANT: THIS SOFTWARE REQUIRES CONNECTIVITY TO VALIDLY LICENSED COPIES OF MICROSOFT LYNC SERVER 2010 OR OFFICE365/LYNC ONLINE AND WILL NOT WORK WITHOUT IT. UPDATES TO MICROSOFT LYNC SERVER 2010 MAY BE REQUIRED FOR PROPER PERFORMANCE. SOME FUNCTIONALITY MAY NOT BE AVAILABLE IN ALL COUNTRIES. IF YOU ARE UNSURE ABOUT YOUR COMPANY’S LICENSE TO AND/OR DEPLOYMENT OF LYNC, PLEASE CONTACT YOUR IT DEPARTMENT. The app only works while open, no background functionality. 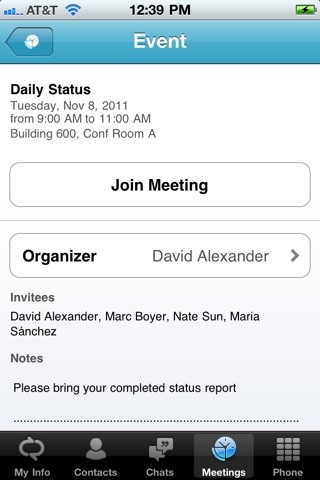 Major design flaw for a mobile business app. Can you all please update this app to work on the IPhone X please. I enjoyed this app but can’t use it now that i have an iPhone X.
Update it to work with iOS 11 please. Microsoft needs to update this so it can work on the iPhone X. Please update for iOS 11. I need this app to work.